Why it's good for families to "run away" from the busy schedules. Every now and then families need a break from the crazy schedules and demands of life. When you barely have time to talk to each other, when it feel like it’s been forever since you actually had fun together, or even a sit-down leisurely family meal, running away may be the very thing you need. To many, running away signifies cowardice, or fear, or just not wanting to face up to responsibilities. But that’s not the running away I’m talking about. I’m suggesting that your family escape from the demands of ordinary life to simply reconnect. Obviously, not every family can take a whole summer off from their regularly scheduled life, but running away can be done in smaller doses. 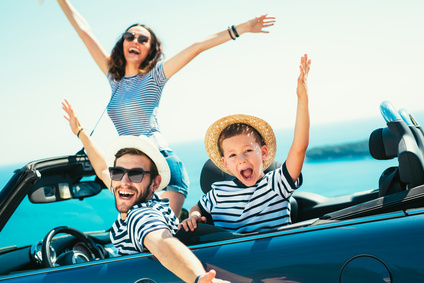 Even just a fun family vacation–that’s NOT built around youth sports tournaments–or even a few weekend trips where the whole family is allowed to leave work, practices, games, and normal responsibilities behind and just hang out together can have a very positive impact on your family. Can’t happen, many of you may say. Our kids need to play on a summer team and they simply can’t miss if they want to stay up with their teammates. Our kids miss a weekend tournament? What if that puts them behind? I worried about that very thing too, but I’ve learned that a bigger picture view is what’s really needed. One tournament or a week of no practices or games is NOT going to end your child’s sports career. In fact, taking time off may be the very break they need to keep up their love for the game. Too much of a good thing is not a good thing. If your child plays for a coach that does not support family time, you might want to think about finding a new team. 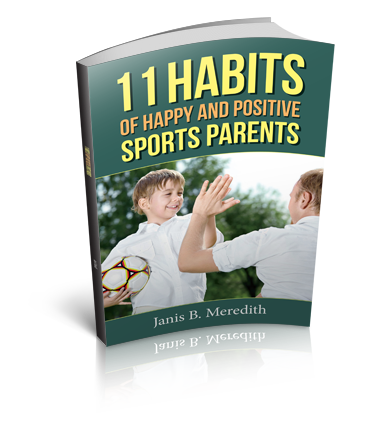 I’m not saying you should let your child constantly miss practices and games for family events–there should be a commitment on your child’s part to the team–but important events and emergencies, as well as family vacations, should be encouraged by the coach. A break in a hectic schedule offers refreshment and rest for body and spirit. Running away together makes family memories. It doesn’t mean you won’t fight or that everything will go smoothly, but it promises memories you will talk about for years. If you want a close-knit family, you must set aside time to work on it. Running away together gets away from distractions that tear families apart. Adventures open up your family’s world. Exploring new places is good for your child’s mind and emotions. Keeps the importance of competition in perspective. There is indeed more to life than youth sports! This past summer, everything we did had no future payoff. No spot earned on a team, no skills would be improved, and no tournaments would be won. No trophies or medals were earned. The only remnants of summer on the kids was their sun-kissed skin and the unseen memories each one had made. Together we logged more than 5,000 miles on the road, driving to destinations where our only objective was to have fun and explore. What a gift that was to his kids who claimed it was the best summer they’d ever had! Are you ready to “run away” with your family? Are you struggling to figure out how you can “run away” with your family? I’d love to help you come up with a plan. I’m a family/parenting coach; schedule a free 15-minute call to see if coaching is right for you.